Yoo In Na is one of Kdrama’s under-appreciated sweethearts. Not only does she have a pretty face, she also has some amazing acting skills that have only began to earn her the global acclaim she deserves. Like a few of the other popular Kdrama actors today, she started her acting career (after failing to become an idol) with a supporting role in the popular 2009 sitcom, High Kick Through the Roof. Yoo In Na is known for playing lovable female characters that you just can’t help but like, whether they’re diva actresses or quirky business owners. So here are some of the notable works in her journey to limelight. Although Yoo In Na was merely a supporting character in this hit rom-com, she still made an impression as the extremely dainty best friend to the tomboyish heroine. Being part of one of the supporting couples in the drama also helped her further showcase her acting skills, and earned her a Best New Actress award for her role in the drama. Her role in this drama solidified her image as one of Hallyu’s talented actresses. She portrayed both the sageuk and modern day parts of her character so well that she was again awarded. It was pure entertainment to watch her no nonsense modern day character get to know and fall in love with the male lead. Her performance was very believable and her chemistry with the male lead was amazing, which made the drama a long-time favorite for viewers. Yoo In Na’s performance in this 50 episode drama series earned her more acclaim in the Kdrama scene. She portrayed the polarizing character Lee Yoon Shin so well that viewers’ emotions towards her swung between love and hate, depending on how the character was acting at the moment. Her versatile depiction earned her praise from viewers and critics alike and helped her break the goody-two-shoe mold. Expanding on previous explorations in the mean-girls arena, Yoo In Na plays the role of a silently supportive friend who eventually becomes an enemy in this mega-hit drama. The transition from good to bad is done so smoothly and innocently that you don’t immediately see that she has become one of the antagonists in the drama. The expert way in which she captures her viewers’ hearts is an attestation to how skilled of an actress she is. Yoo In Na takes on another supporting role in One More Happy Ending as one of the heroine’s best friends from their idol group days. However, it’s an important career move for her because she bravely took on a shaggy, underdressed, mopey school teacher who’s love deprived and man hungry. This is a drastic change from her previous posh, modern, well-put-together roles. 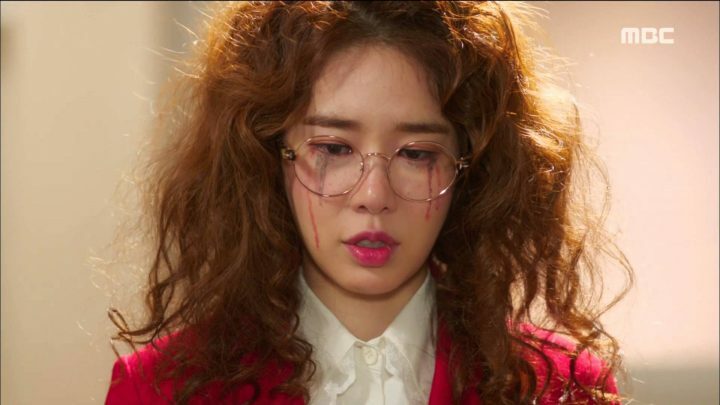 Yoo In Na came across extremely convincing in her character that you can barely even recognize her. Though she didn’t win awards for it, but props to her for daring to push limits and challenge herself. While she isn’t particularly new to comedy acting, her delineation of the lethargic and frank business owner who falls in love with a grim reaper is nothing short of commendable. Within minutes of getting introduced to her character in Goblin, you’re instantly drawn to her candid demeanors and blunt questions that often induces laughter. Yoo In Na’s biggest gift as an actress is making it easy for viewers to believe in the realness of the characters she portrays, and she does that effortlessly well here as well. I’ve enjoyed her in everything I have seen her in. She’s brilliant.